We are pleased to announce the arrival of 3 new shirt designs to adorn the freaky wonderful people. 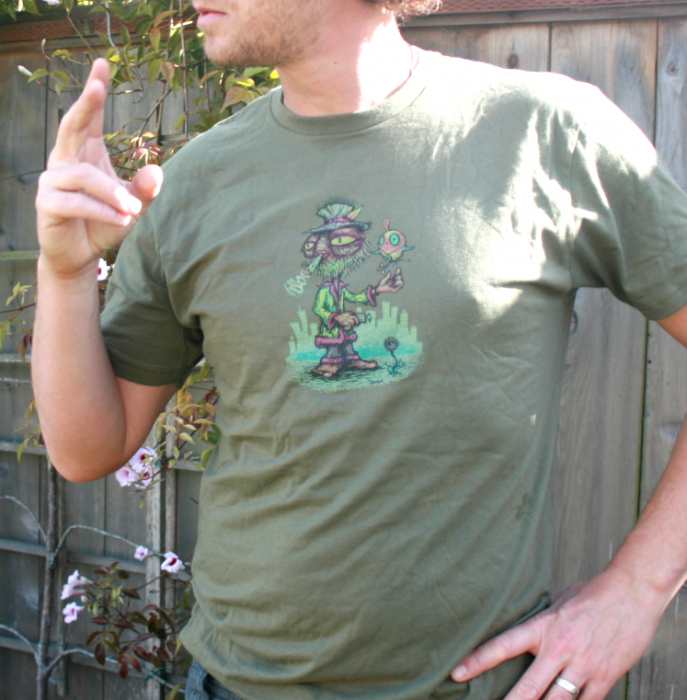 These shirts are printed with water based discharge inks on Next Level tees, which makes for a very soft and comfy fit. The first of the new shirts, the Omiwimo tie dyes, will be offered in both mens and womens styles. 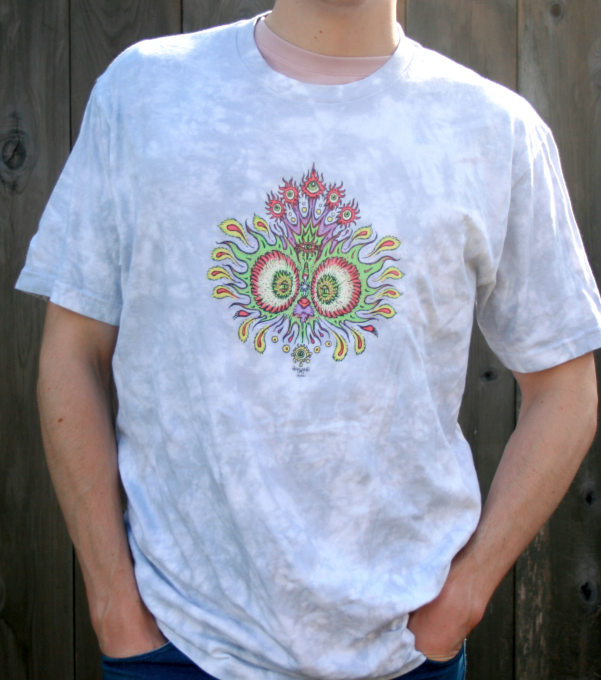 The tie dyes were done with light grey dyes and most have a splashes of color (either pink, purple, green or blue) – each shirt can be quite unique, so customers should be aware that they are dyed with variety intended. 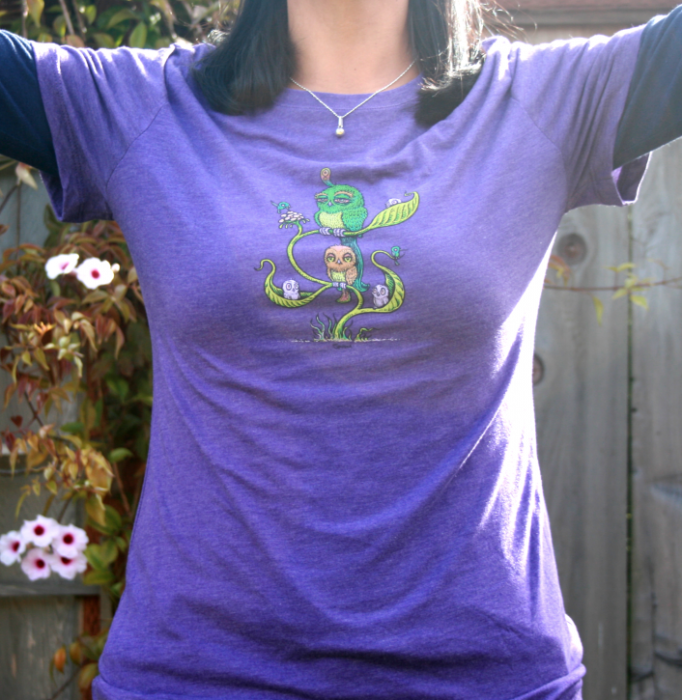 The green Smeezy shirt and will be available in regular mens tees only and Seven Birds is available in a ladies purple tri-blend – we’ve been told the ladies shirts run a bit small, or fit snuggly. If these new designs sell quickly and are gone from the shop, more inventory may be added at a later date. There are also smaller runs of these designs on alternate colors that will be released in the future (such as a few Seven Birds in mens style and some non-tie-dye Omiwimos). A few children’s Tees are in the works as well. Spusta Schwag for your body and soul!